New Delhi [India], July 26 (ANI): Chief Justice of India (CJI) Dipak Mishra on Thursday downplayed the 'Padmavat' controversy stating that if the apex court upheld the right of the producer to show 'Bandit Queen', then 'Padmavat' was nothing. 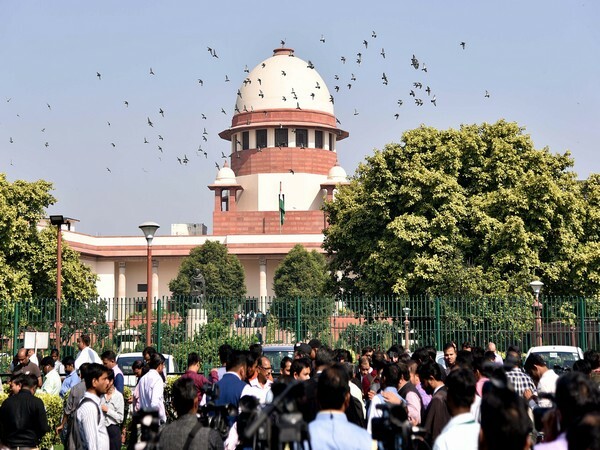 New Delhi [India] Jan. 29 (ANI): The Supreme Court on Monday dismissed a petition which sought deletion of certain scenes from film Padmaavat. Jaipur (Rajasthan) [India], Jan 26 (ANI): The Shri Rajput Karni Sena on Thursday linked the attack on a school bus in Gurgaon to 'Padmaavat' film-maker Sanjay Leela Bhansali. Muzaffarpur/ Jaipur (Bihar/ Rajasthan) [India] Jan. 25 (ANI): Rajput community on Thursday protested against film Padmaavat in Bihar's Muzaffarpur by brandishing swords. New Delhi [India], Jan 25 (ANI): Bharatiya Janata Party (BJP) leader Subramanian Swamy on Thursday said that films like 'Padmaavat' have zero historical value. Jaipur (Rajasthan) [India] January 24 (ANI): A day before 'Padmaavat's release, Rajput Karni Sena Chief Lokendra Singh Kalvi on Wednesday reiterated their stand of not allowing the screening at any cost. Jaipur (Rajasthan) [India] Jan 24 (ANI): Rajasthan Home Minister Gulab Chand Kataria on Wednesday appealed the protesters to protest peacefully over the release of the controversial film Padmaavat. Jaipur (Rajasthan) [India], Jan 24 (ANI): Rajput Karni Sena Chief Lokendra Singh Kalvi on Wednesday said that team Padmaavat cannot be allowed to earn profit by defaming Rajputs. Hyderabad (Telangana) [India], January 22 (ANI): A group of protestors from Rajput Karni Sena created a ruckus and tore the poster of 'Padmaavat' outside a movie hall Telangana. New Delhi [India], Jan. 20 (ANI): Amidst its protest against the release of 'Padmaavat', Rajput Karni Sena has claimed that director Sanjay Leela Bhansali invited them for a special screening of the period drama.